Our set of teacher information sheets provide a two-page summary of the genocides marked on Holocaust Memorial Day, to help teachers to have the information they need to hand, and to provide answers to students’ questions. This sheet provides an overview of the Genocide in Bosnia. 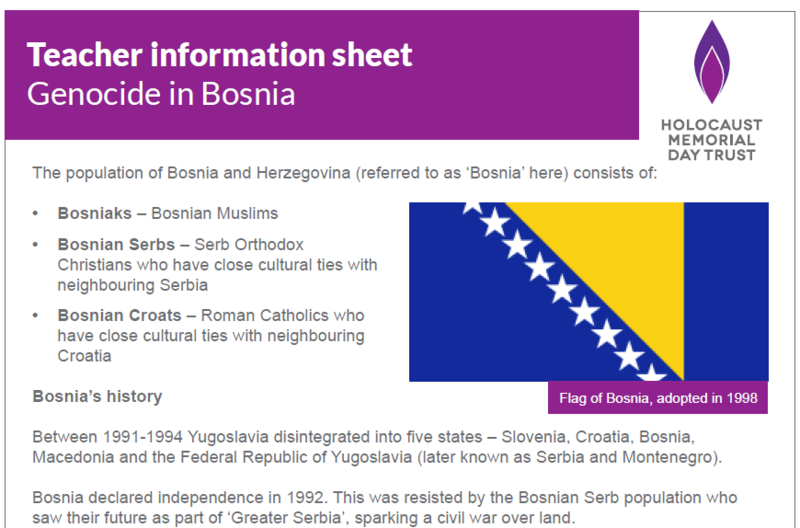 This sheet is designed to give a short overview of the Genocide in Bosnia. If you need further historical information please click here.